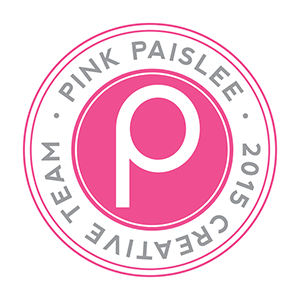 Hey everyone, I'm here today with a layout for the Pink Paislee Fall Inspiration Week. In Australia we are currently enjoying the spring sunshine. So I dug into my pics from earlier this year and found these of my little man. I really wanted to document these photos as this little scarf was knitted by a great Aunt who has now departed. When he wears the scarf it is a reminder and piece of her present in our lives, it just makes me smile. This layout was inspired by the large leaves in fellow design team member Brenda Smith’s Fall Wreath that you can see on her blog here. The leaves were cut on my silhouette cameo using a cut file from the silhouette store. The die cut ephemera were perfect to layer and cluster on this page. I love that the packs are a mixture of acetate and card stock pieces, some are even foiled and glittered! The importance of this page for me is really about documenting my little man wearing this scarf that has sentimental value to us. I typed the journaling on my typewriter and adhered it to the page in strips. I have been drawn to tags lately, so I layered one of the woven tags and a tag from the ephemera to the right of the photo. Again, I added a mixture of ephemera and puffy stickers. I even managed to sneak that cute little fox onto the page! Sometimes all a page needs is a little splatter of mist and a bit of staggered stamping. I used my fave Heidi Swapp Colorshine in Gold Lame. I love the dimension this page has, not only on the group of photos but the dimensional look achieved by the leaves. I also recorded the process of creating this page for you to view. I'm really enjoying creating the videos and hopefully I am getting better at the whole process.